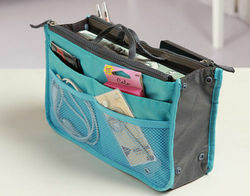 Anything Everything Light Blue Hand Bag Organizer. 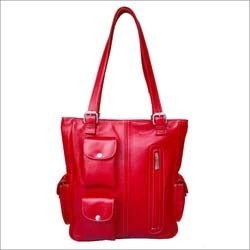 Our company has mastered the art for providing Nylon Handbag to the clients. This product is especially made by utilizing standard quality raw material coupled with the contemporary technology and acknowledged for stability and easy to carry nature. Offered range is available in variety of designs, shapes, sizes and colors.